The rest of us are “everyday athletes”. Yet—while the level of physical challenge may be less intense—we can still strive to cultivate the same foundational movement skills, the same foundational strength and the same foundational power. Because we want to be in the best shape we can be—to be truly fit for anything life throws at us…high-energy, less prone to injury, more capable, more self-reliant, vigorous and physically appealing. After years of frustration and years of diligent applied-research, Josh designed a very specific type of sandbag device—and formulated a remarkably thorough training system—which has proven to meet exactly those functional athletic needs. 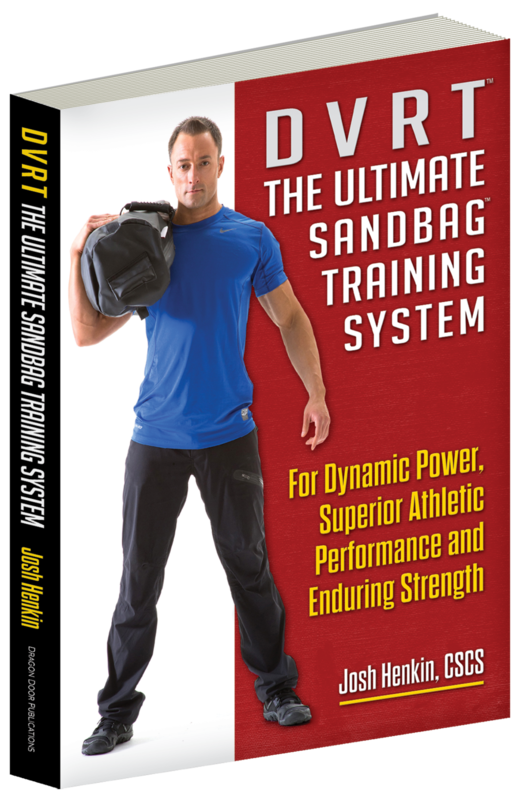 As the name implies, Dynamic Variable Resistance Training (DVRT™) prepares ANY athlete to handle whatever challenge comes their way—with a far greater likelihood of success and with a much-reduced chance of injury.